Salt Lake City, UT—Mitt Romney today made the boldest moves yet of his political life, changing both his religion and blood-type after a dismal showing in recent Republican primary contests. You’ll recall, as reported earlier on these pages, that Mr. Romney had switched his party allegiance from Republican to Democrat after a similarly dismal showing in the South Carolina primary. When asked if this wasn’t more proof of his pandering to the opinions and prejudices of an extreme, narrow-minded electorate, Romney said, “Heck, Anne and I have been thinking of becoming Seventh Day Adventists for years, so our conversion had nothing to do with unfavorable poll numbers for the Mormon religion. And the plain honest truth about this business of changing blood types is that I’m fed up with people telling me how cold-blooded and distant they think I am. Researchers on my personal medical team have advised that I can heat things up with a different blood type, something you might find more prevalent amongst hispanic populations. 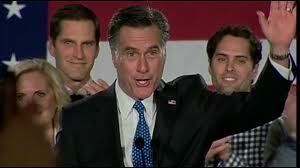 “Is it expensive to change blood types?” Romney rhetorically asked. “You bet it is! But, gosh darn, it’s so critically important that we defeat Obama, I would make any sacrifice. When asked if we could anticipate any future changes, Romney smiled and replied, “Hey guys, what you see today isn’t always what you’ll get tomorrow. I’m a servant of the people and I have to follow their lead wherever it may bring me. I’ll take no change options off the table. Except of course for my name. 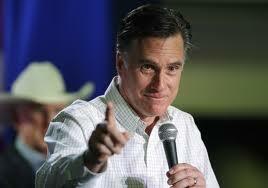 I’m not changing from Romney, no matter what anyone says. This entry was posted in Republican primaries, Romney flip-flops, Tea Party politics on February 8, 2012 by Paul Steven Stone. Columbia, S.C.—After weeks of being pummeled and ridiculed in Republican primary contests for being a closet moderate, Mitt Romney stepped out of the closet today and declared himself a “full-blooded and full-throated Democrat”, pulling his hat out of the ring in the remainder of the Republican Presidential Primaries and signing up instead to challenge President Barack Obama for the nomination of his newly-adopted political party. When asked how he could justify walking away from the conservative posture he’s been avowing and defending for months on end, he smiled and answered, “Fooled you, didn’t I? All that time I was pretending to hate poor people, and attempting to demolish the middle class, I was really chafing at the bit to declare my love for my fellow man. Now I can’t wait to get down to Florida and debate President Obama. After allowing Tea Party madmen and millionaire shills to push him around like a 97 pound weakling, the President has a lot to answer for. How dare he take four years to turn around an economy that was gang-banged, sacked and left for dead by the Bush administration? How dare he allow the Republicans to front for billionaires and pretend to care about the working class in our country? How dare he rescue the American automobile industry and leave Lehman Brothers to twist in the wind? Hell, if you thought I was heartless strapping old Seamus to the top of our family wagon, how does that compare to Obama walking away from Health Care Reform without a public option in place? Everyone knows the insurance industry will make hash of any real financial reforms without the presence of a public option. This entry was posted in Mitt Romney, Republican primaries, Tea Party politics on January 21, 2012 by Paul Steven Stone.